VNRE – The Burj Khalifa, which has held the title of world’s tallest building with a height of 2,717 ft (828 m) since its completion in 2010, may have its crown stolen by a new building proposed for an artificial archipelago under construction on the shores of the Caspian Sea southwest of the Azerbaijan capital, Bakou. 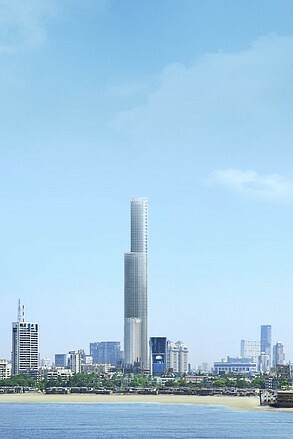 The proposed Azerbaijan Tower would reach 3,445 ft (1,050 m) into the sky, making it even taller than Saudi Arabia’s proposed Kingdom Tower by 164 ft (50 m). 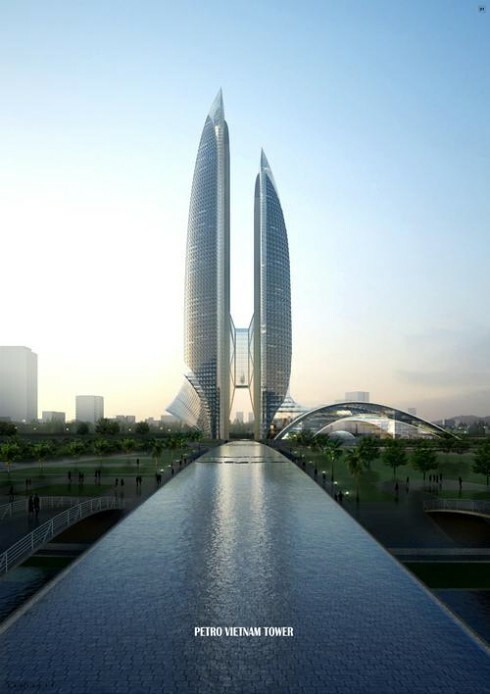 According to News.Az, the Azerbaijan Tower would boast 189 floors and be built by Avesta Consern as part of the Khazar Islands development. 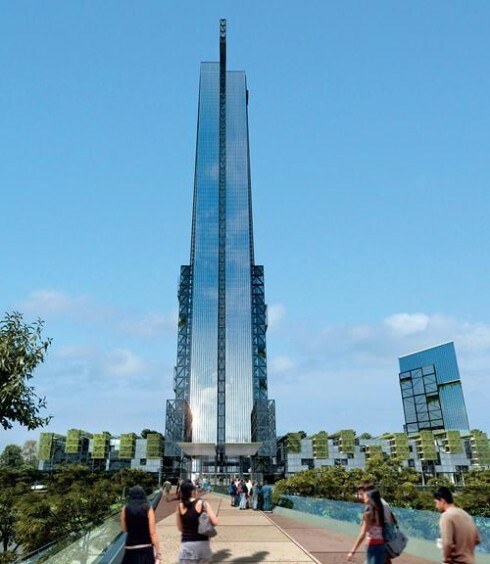 The tower would form the centerpiece of the development, which will consist of 41 artificial islands spread over an area of 2,000 hectares (2,942 acres). The tower alone is expected to cost US$2 billion, while the city, which is designed to house one million residents and will contain everything a modern city needs – plus a Formula One racetrack – is estimated to cost $100 billion. The announcement might come as a bit of a surprise given the current world economic climate, which has already claimed the proposed Nakheel Tower. 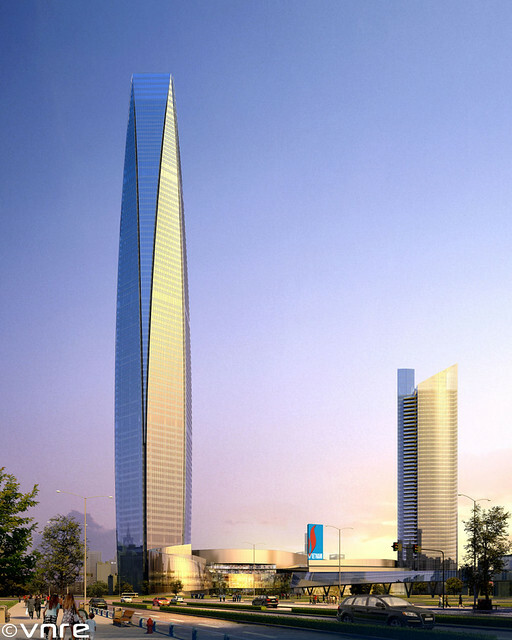 Avesta plans to begin construction of the Azerbaijan Tower in 2015 with a planned 2018 – 2019 completion date. 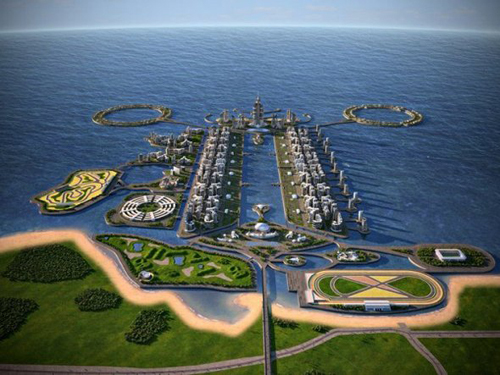 The entire Khazar Islands are due for completion by 2022. A video from Avesta showing how the Khazar Islands development will look upon completion can be viewed below. A Mumbai developer is about to start construction on what he claims will be the world’s tallest residential tower. If you are super rich, you can see what such lofty living feels like. 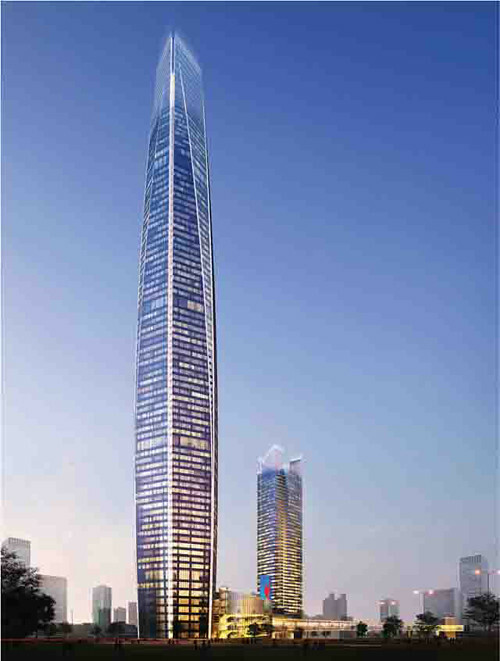 Mumbai builder Lodha Developers Ltd. said it will finish the over 117-storey stack of private homes called “World One” in 2014. “This will help put Mumbai at the forefront of the architectural revolution that is happening across the world,” said Abhisheck Lodha, managing director of Lodha Developers. 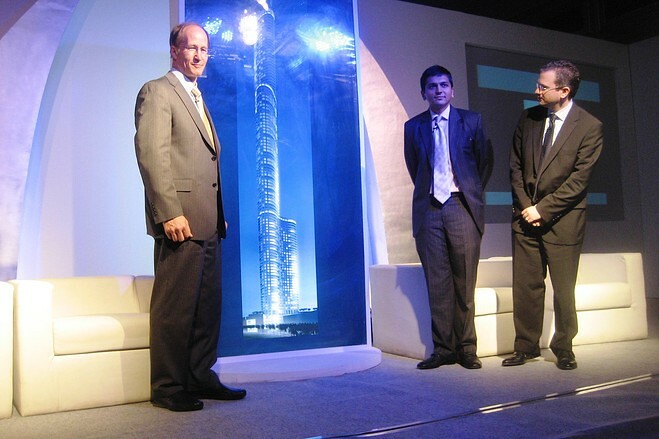 This tallest residence, built on the grounds of a failed textile company, will not suffer the fate of many of the world’s tallest buildings which have often heralded the end of property booms, Mr. Lodha said. There is more than enough economic growth and demand for quality housing in Mumbai to find enough rich folks to fill the tower, he said. India’s first sight of what may become a symbol of the city’s vibrancy didn’t go so smoothly, though. As Mr. Lodha and the building’s designers stood amid loud music, flashing spotlights and a bunch of stage smoke, the rotating platform that was supposed to turn and reveal the projected profile of the World One refused to turn all the way around. 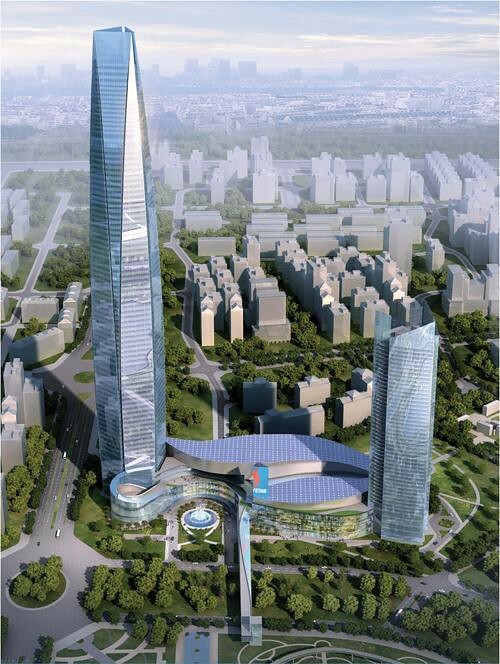 After five minutes of uncomfortable smiling on stage it was fixed to show the architects’ rendition of what the oval-shaped tower will look like. And like most big projects here, the principals of Vastu, or Indian Feng-Shui, were used in the building’s design. The tallest part of the building, for example, towers over the most auspicious corner of the property.